Grown-ups love to party too! Planning a fundraiser, block party, family reunion, engagement party, church social, school carnival, anniversary or adult birthday party or other event for adults or whole families? We can provide activities and entertainment for your event, or we can plan the whole event, do the decorating and cleanup, arrange the catering and more! The activities we provide appeal to a wide variety of age groups! Getting your faces painted together, or matching glitter or mica tattoos, or goofy balloon hats, are a fun way to create some treasured memories... and they also make for great photos! See the "Services" tab for more details on our individual services and pricing. Pricing varies based on many factors, such as the size of your venue, how many guests, the theme of the event, and more. We can also bring in dance instructors to get everyone up and moving and having fun! 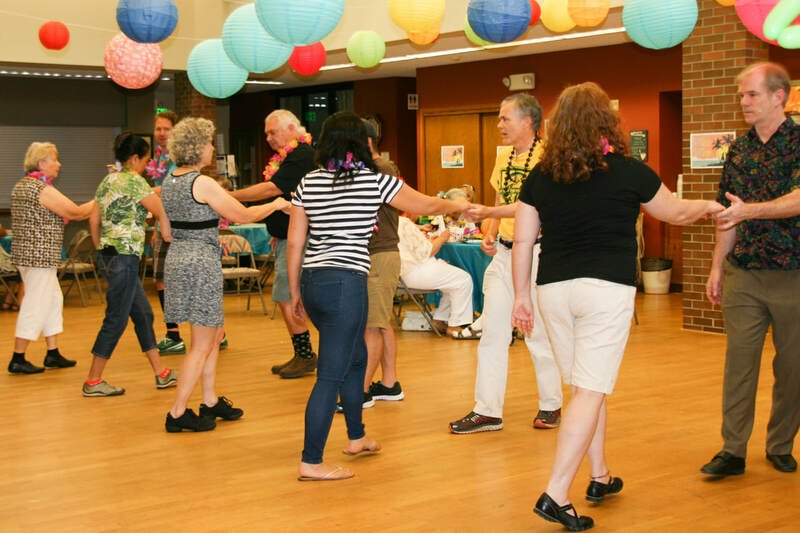 Many styles of dance instruction are available, including ballroom, swing, salsa, hip-hop, line dancing, and more! Pricing varies according to location and other factors. Call for details.